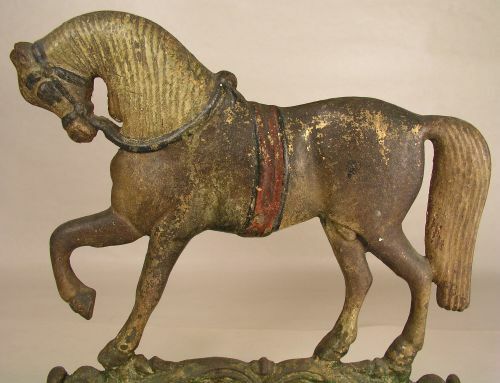 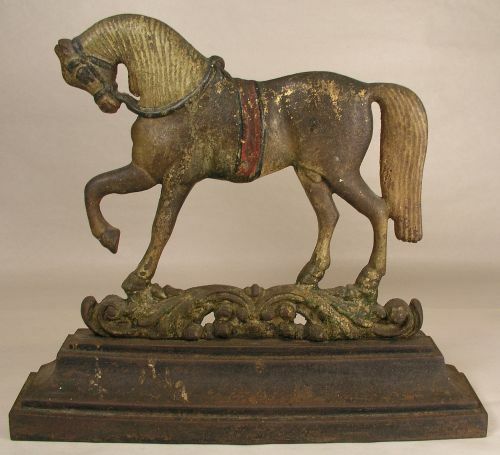 19th Century cast iron horse doorstop with wonderful painted surface. 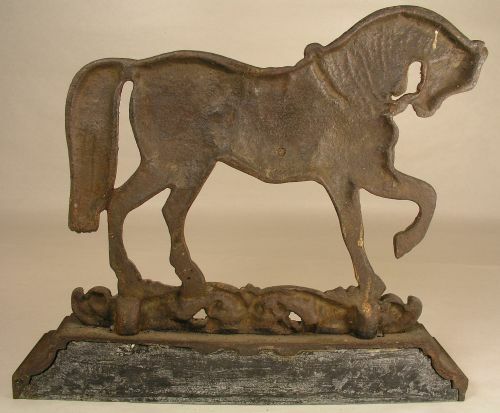 Very heavy with lead weighted base. 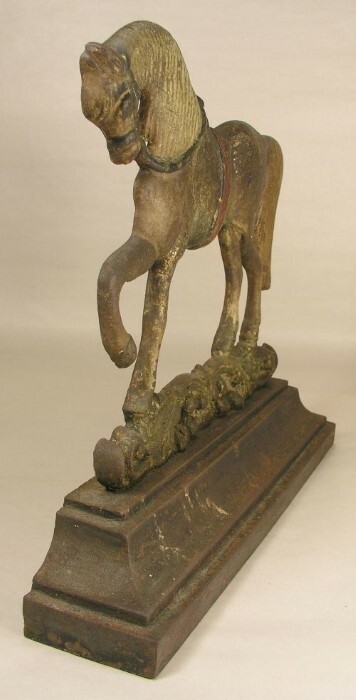 Dimensions: Measures 12.5" wide X 11" tall.